INDIANAPOLIS, Ind. — Senate lawmakers voted 49-1 today in support of the final version of a proposal banning products like ‘Spice’ and the herb salvia divinorum in Indiana, sending the enrolled act to Governor Mitch Daniels where it could be signed into law. 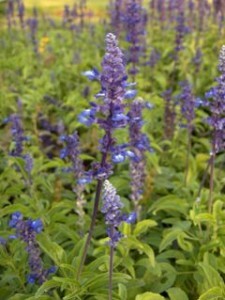 Salvia Divinorum is a perennial herb that recently gained popularity because of its hallucinogenic properties. It is also known as diviner’s sage and it is a psychoactive plant. It has a long tradition of medicinal use in Mexico. Senate Enrolled Act 57 adds various chemical compounds used in synthetic cannabinoids like ‘Spice’ and the herb salvia divinorum to the state’s controlled substances list. State Senator Ron Alting (R-Lafayette) said if signed into the law, the same penalties for producing, delivering, dealing or possessing marijuana will be established for synthetic cannabinoids and salvia, a powerful, hallucinogenic plant. ‘Spice’ and other products like ‘K2,’ ‘Voodoo Magic’ and ‘Mr. Smiley’ are blends of herbs and man-made chemicals. When smoked and inhaled, they mimic the effects of tetrahydrocannabinol (THC) found in marijuana. Salvia divinorum and products made from the herb, like ‘Sally D.’, ‘Magic Mint’ and ‘Diviner’s Sage,’ provide quick highs comparable to LSD. Current state law bans “analog drugs” that are designed to have similar effects as illegal drugs, but a loophole exempts drugs labeled “not for human consumption” – often used on brands like ‘Spice’ and salvia products that are sold as herbal incense.